For the last couple of editions we have featured two interviews in each issue of SKM, so this time I have decided not to use an interview at all and just feature various articles with contrasting topics and themes. 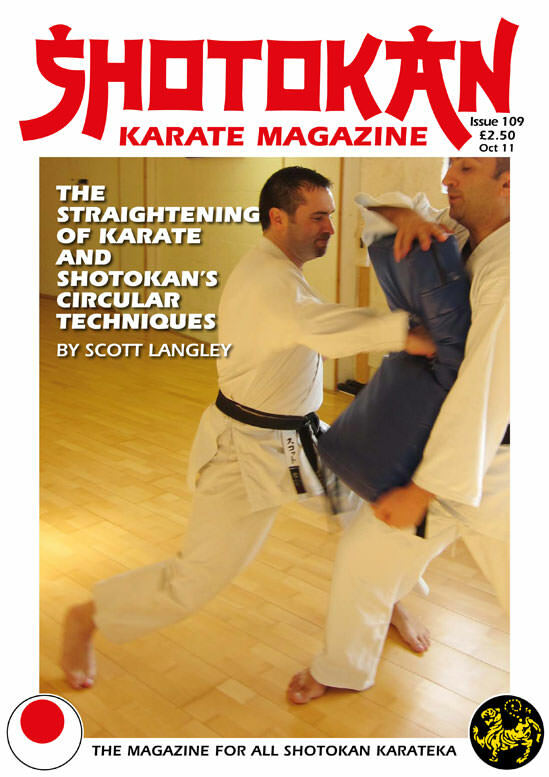 For instance Scott Langley's article, for me, is a very important issue regarding Shotokan karate. Through the massive influence and focus on competition karate and grading examinations (syllabus), over the last 40 years, most Shotokan dojo (the world over) practice more linear/straight techniques as opposed to the more circular techniques found in our kata. This is a fact. I think possibly during the last few years some dojo have changed their attitude on this and do in fact practice the circular techniques more than before, but it is still generally a majority focus on linear techniques. Scott's article identifies this problem and he describes many of our circular movements/techniques with photograph examples. 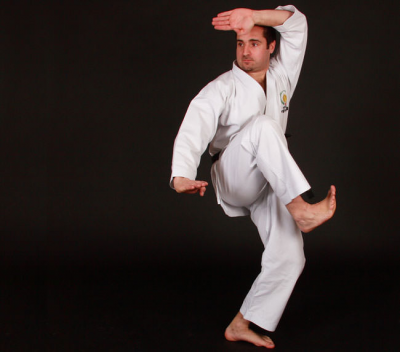 Shotokan is often criticised for this lack of circular technique but in truth we have an abundance of these movements in our kata, which sadly have been neglected over the years. 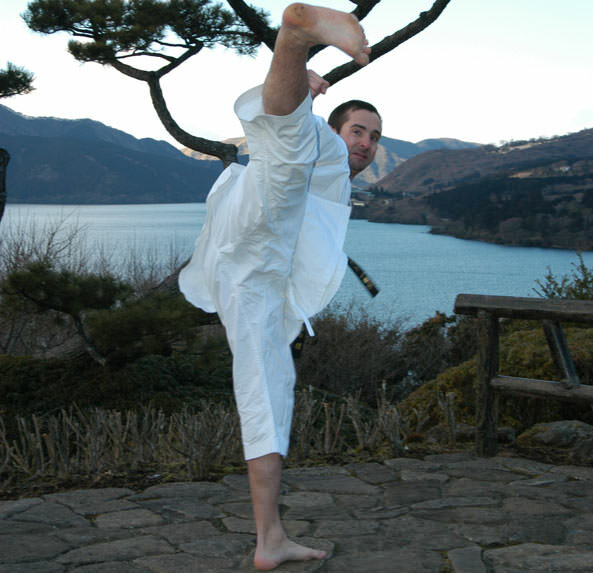 Scott points out that even some circular techniques have been modified to take a more direct route to the target, haito uchi being an excellent example, especially when used in the Shotokan kata Unsu! 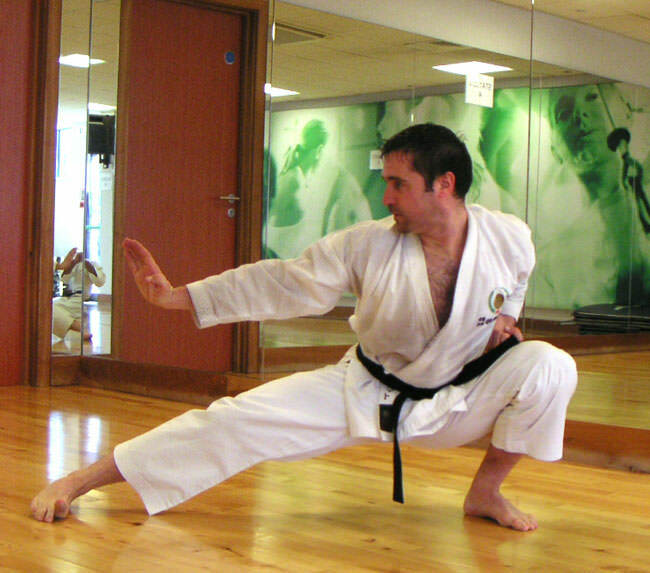 In competition this technique (in Unsu) is usually flicked straight out from the hikite position at the hip, rather than taking its intended circular path with far more devastating effect. Just try these two versions on a pad and you will see the massive difference in impact power and effect! I remember the late Kase sensei pointing out this difference to a small group of us at a training session many years ago. It was an eye opener to me at the time, as like many others, I'd always flicked out haito uchi in an almost straight line. I changed it after that experience. We also have circular blocks in our kata as do many other traditional styles of karate but we rarely use them in kumite, be it basic kumite or free-style, which again goes back to the emphasis on competition style karate or linear movements in most Shotokan dojo. 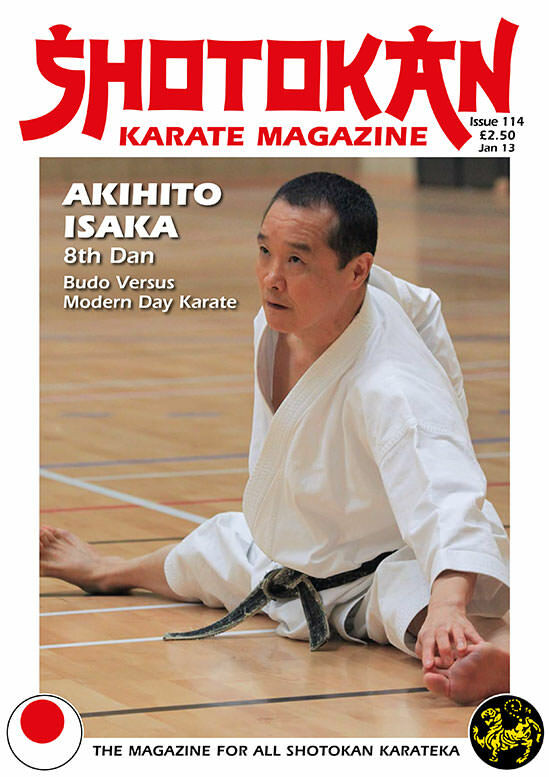 I wrote an article several years ago in SKM entitled, 'The Neglected Punches of Shotokan' which focussed on mawashi zuki, ura zuki and kage zuki. Scott's article has carried on from that idea and hopefully will awaken and inspire you to practice and incorporate more circular techniques, if you don't already do this. For some reason I'm always being asked which Association/Organisation I belong to now? The answer is None! I train/teach with a small group of friends (all senior Dan grades) who have trained together for over 30 years. We're too old for competition, and grading promotion holds no interest, so we just get on with enjoying the training three times a week. We occasionally invite various instructors to teach for a night at the dojo. This suits us fine and it's always very interesting. ULTIMATE MARTIAL ART? By Joseph Claycomb. The following article is my personal opinion and is in no way intended to offend anyone of any style or art. After nearly 30 years of studying the martial arts I still find myself learning and enhancing my skills and understanding of the arts. Additionally, I feel that reading this article with an open mind is important regardless of your martial arts experience. Shotokan is my style of preference and the art I have the most experience in. 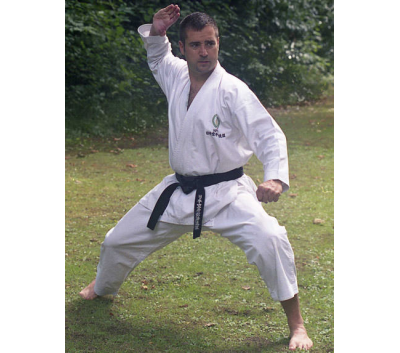 Although I have trained in Shito Ryu, Goju Ryu, Okinawan Kobudo as well as some Judo. Alternatively, I still like to stay dedicated to Shotokan 95% of the time. I also agree with the philosophy that Karate is a single form with multiple principles. "THERE IS NO STYLE IN KARATE" as quoted by Gichin Funakoshi. 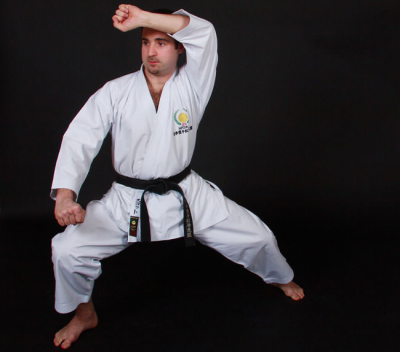 Not too long ago, Karate was the popular choice when an individual chose to learn self defense. This was such a lop- sided affair that many martial arts schools would use the word "KARATE" as a marketing ploy to attract unsuspecting new students. This may have been due to the fact that their particular style or art was not as popular as Karate. 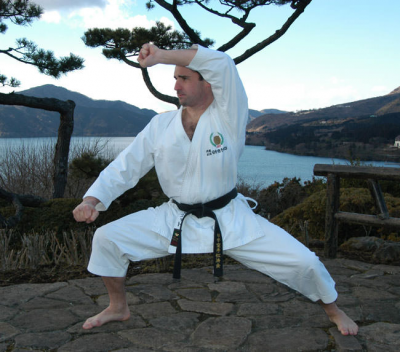 As a result, Karate is a house-hold name that has regularly been abused when referring to "martial art". In the last 15 years or so, large populations of people have been attracted to the world of Mixed Martial Arts competition and the UFC. Mixed Martial arts "MMA" continues to grow in popularity also as a result of the amount of multi-media, marketing and merchandising that supports it. This media blitz also preaches that "MMA" can very possibly be the most effective method of self defense. Add to it the entertainment factor that is similar to professional wrestling and you have a world phenomenon and the fastest growing sport in the world. On the contrary, I don't think many tickets would sell if MMA events were less like the WWE and were more based on the more honorable and true true spirit of BUDO. This also could be one of the reasons traditional Karate is losing its popularity in comparison. Sadly, Karate events tend to lack hype, media exposure, excitement and audience appeal. If Karate is to continue to grow this must change. I also feel that Karate's decline is in direct relation to MMA's growth. The fact that MMA is currently the most televised genre of combat sports leads me to believe it is here to stay. When it began, it was banned in most states. Now it is accepted as a legitimate sport worldwide. Should MMA be considered a legitimate martial art in itself? Is it appropriate to call an MMA fighter a martial artist? Especially if they may not possess the expertise, knowledge or experience of at least a black belt level in any given art? What is needed to revive the reputation of Karate in the eyes of MMA fans when seeking a place to train? Coincidentally, many fighters that do have a traditional background in the martial arts tend to be more complete as fighters. Lyoto Machida is arguably the most successful and popular Shotokan fighter in MMA worldwide. 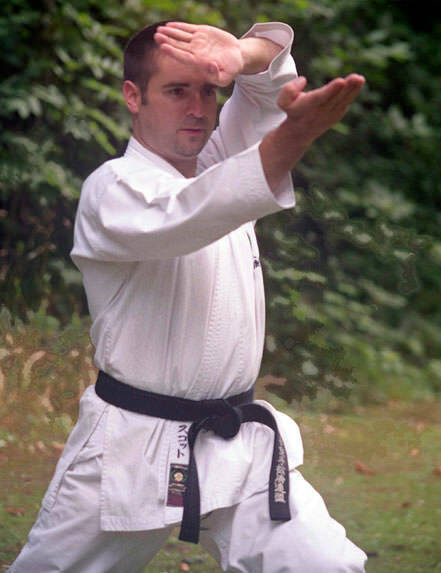 He was also Karate and Sumo champion long before he entered the UFC. However in many instances, fighters are only trained for the ring and do not possess adequate knowledge in any particular martial art to be considered a legitimate or credible authority to teach any single art. Additionally, MMA matches often look like brawling. The rules, cage, mat, and other elements found within MMA cater to a grappling scenario more than a realistic street situation would. This may also be because of the illegal striking rules that fighters are restricted from utilizing, as well as the padded surface of the mat in the cage. The whole atmosphere is a very controlled environment compared to the unknowns of a really life threatening situation. If there were less rules and fighters were allowed to strike vital points or the spine when they are being wrestled or grappled to the mat, I think less people would be grappling due to the higher risk of serious injury to themselves. MMA events are also the only place a fighter's style can be BRAWLING or PIT-FIGHTING. Can anyone willing, regardless of their experience OR lack of it in the martial arts get in the ring? Are fighters allowed to get in the ring because they are tough enough to take the punishment of exchanging blows against another opponent? Do they qualify to enter the ring because they are ruthless and can put on a good brawl for the audience? There are some good marital artists in MMA. However, I still see many fighters with limited or no experience in ACTUAL martial arts that are only trained for the ring and most likely have never stepped foot in a "real" dojo. When I say "Actual" martial arts, I mean AUTHENTIC or TRADITIONAL arts that have a deep history and heritage to go along with a strong philosophy of discipline, self control and a path to character perfection, not just combative skills and technique. 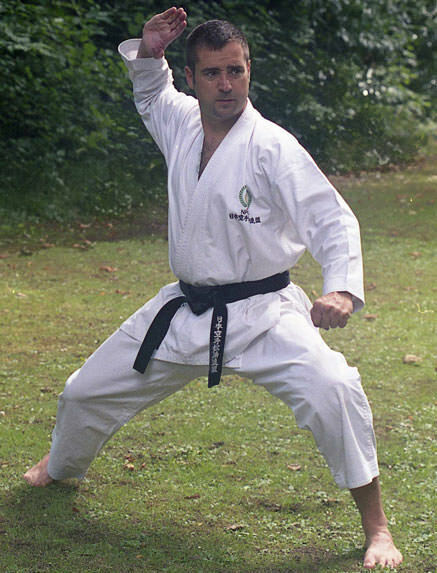 Modern combat forms such as Western Boxing, Sambo, Brazilian Jujutsu, Kickboxing and similar arts mainly teach technique but lack focus on the principles of "DO". These are generally styles that only teach what works in a ring environment and are mainly sport oriented. MMA and mainly the UFC remind me of the games in Rome at the coliseum where people only wanted to see blood and carnage and see who survived the killings. Of course, no rules existed and everything was to the death! Lyoto Machida, has a Shotokan background. So why is MMA considered a mix of "martial arts" instead of a mix of "combat sports"? Additionally, why do so many people regard MMA as a superior form of "martial arts"? Why is a winner of an MMA event considered an "Ultimate Fighter"? What gives? In my opinion, I find it inappropriate calling MMA a mix of marital arts of any sort. A martial art entails much more than what is allowed in a ring. Eye gouging for instance is a very effective weapon in Karate, Hapkido, Japanese Jujutsu, Kung fu, and others. How many MMA matches have been stopped due to an eye gouge? Again, I reiterate that if certain strikes and vital points were allowed to be struck and utilized in the ring, many fights would end quickly and the audience appeal would lessen. I believe the reasons those rules are in effect are: 1) MMA is a sport 2) Safety of the competitors 3) Spectatorship. Firstly, the fact that any aspect of training that I have sought after, whether it be evasive movement, footwork, striking, kicking, joint manipulation, leg sweeping, take-downs, throws, falling, basic grappling or Kata training, I have found all of them in Shotokan and in Karate as a whole. As a result, I have never needed to seek learning from other arts. I do like to keep an open mind and train in other arts occasionally to see how they can compliment my overall skill but in my experience I feel that Shotokan literally has everything you need from a combative, self defense, fitness, mental or artistic viewpoint to go along with very disciplined philosophical teachings. 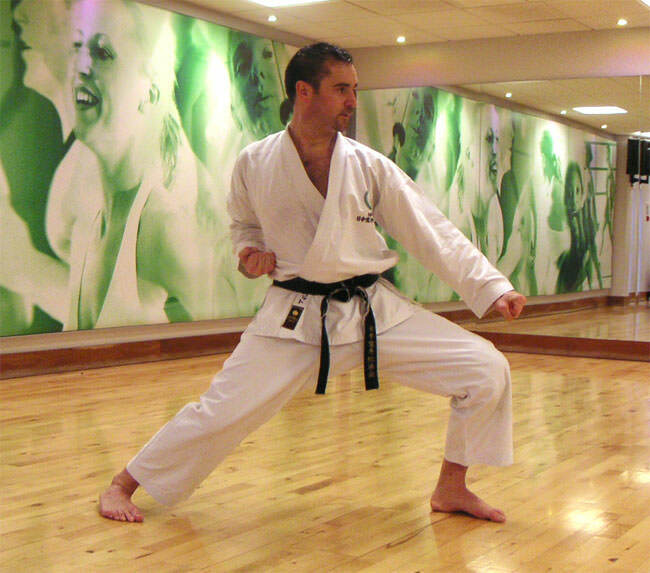 Of course many other martial arts may be viewed the way I view Shotokan. 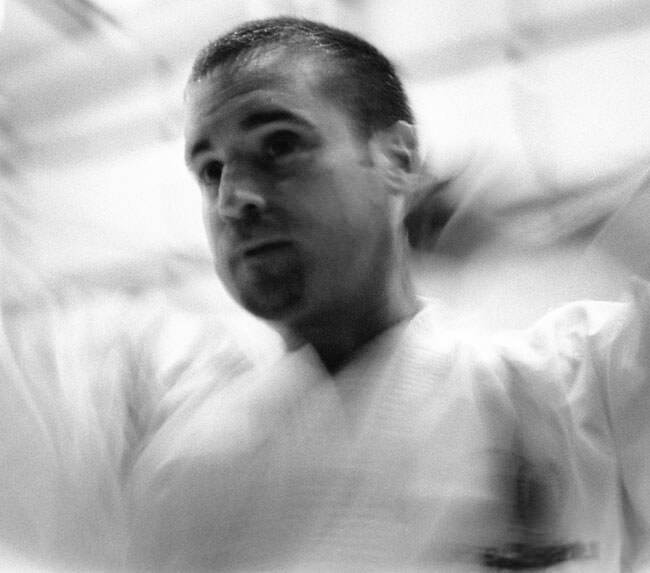 If they incorporate multiple training aspects rather than a single sided approach like Wrestling, Boxing, Judo, Taekwando or Brazilian Jujutsu all do, then possibly a person can feel their art is complete the way I regard Shotokan. The above mentioned martial arts typically focus on sport competition or one aspect of fighting. This would explain why a Jujutsu practitioner typically needs to cross train with some sort of striking art and Muay Thai Fighters typically need to cross train with wrestling or Jujutsu. 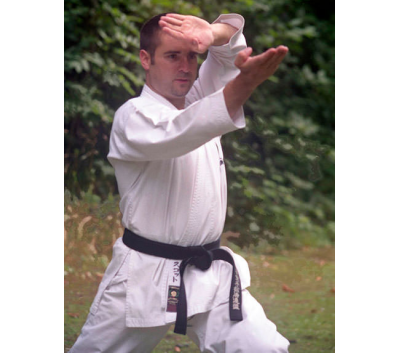 Generally speaking, Okinawan and Japanese Karate allow you to pursue whatever area of your training you are trying to improve simply because it is part of the art. 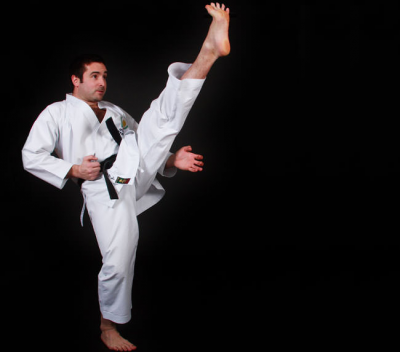 If you wish to improve your kicking ability, you just need to work on kicks more, you do not have to go to a Taekwando specialist. Not to say that you can't. If you wish to improve your grappling skills, you still do not have to go to a Jujutsu expert since there is enough basic grappling in Karate to learn to successfully defend yourself. Many people have often asked me if I study Hapkido because I am able to perform decent break falling. I have also been accused that I teach Jujutsu even though I have never taken a single class. So in my own personal experience I feel my Karate knowledge has given me a balanced skill set. If we look at the origins of Karate, it is easy to see its primitive beginnings. Like all arts, its purpose was for unarmed self defense and close counter tactics. Throwing, takedowns and off balancing theories "Kuzushi" found in judo as well as Joint manipulation and locks found in Jujutsu were also incorporated. Since weapons were illegal in the time of Karate's early development, Karate practitioners also found it to their advantage to learn weapon disarming and submission tactics as part of their arsenal of techniques. This would explain why these applications are found in Kata. KATA is what I like to call my FREE library of close counter techniques. Kicking was seldom practiced like it is today and punching techniques were also not as developed. Ironically, today most people envision Karate as purely a punching and kicking art. Maybe that is because of the way it is taught to beginner students. The secret techniques are taught to more advanced students and the lower level students are shown only basic fundamentals. Karate was always for the sake of self defense, never for sport. If we look a little deeper at the intricacies of Karate we will see it is very complete and in a sense MIXED. It is not SINGLE minded in its practice or study like boxing, or wrestling. So what determines something to be "Martial" and what determines something to be an ART? Arts such as music, drama, poetry, dance, painting and drawing all have one thing in common; they all possess a foundation of basic fundamental skills that are essential to master to be able to develop a creative or artistic sense. Example: A guitarist must learn and master all the fundamental chords prior to the ability to flow with a solo. Example 2: A painter must learn how to make all the strokes, lines and shades of color to fall in place before they can paint a portrait. Art has no limits. There are no boundaries to art and there are NO rules like there are in an a sport based environment you find in tournaments or MMA venues. So a Karate-ka may be viewed as a practitioner that has invested the time and had the patience and humility to attain a masterful skill level in their art to be able to take what he has mastered to a higher level as it evolves into something better. Secondly, what is Martial? Martial means Militaristic in nature and organized by a structure of ranking and order. The definition of Martial is to be soldierly, soldier-like or combative. So a martial art must be combative, military-like in its nature and its practitioner must be soldierly and follow an honor specific code of conduct. So what are the common grounds for both MMA and Shotokan. Are MMA and Shotokan both combative in form? YES, but unlike MMA, Karate is more than a combative form. It is a very philosophical discipline that teaches that there is no first attack and that fighting is only out of self defense. Are MMA and Shotokan both militaristic? NO, there is no systemized ranking system or code of conduct to follow in MMA like there is in Shotokan or most traditional arts for that matter. Are MMA and Shotokan artful? MMA can and should be studied like other martial arts as long as its fundamental skills have been mastered individually to develop an artistic view of things. However, usually an MMA fighter does not study any aspect of their training long enough in order to be considered a recognized authority on any single style of combat, let alone become creative with their skills due to the limitations their training is geared towards. Generally speaking MMA is not artistic, however for Shotokan and Karate in general the answer is yes, due to the arsenal of individual techniques, the unlimited ways to apply them and the philosophical principles and values that are taught in Karate as a whole. 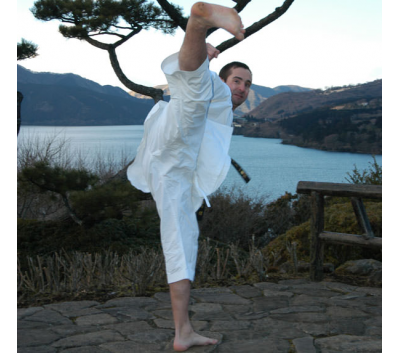 Do MMA and Shotokan practitioners represent themselves in an honorable and respectful manner? Definitely NOT! Most MMA fighters are arrogant and lack any character of a role model nor would they be revered as an asset to society. Most MMA practitioners think the world of themselves. There are a handful of fighters that do display humility in more recent times like Lyoto Machida, George St Pierre and Anderson Silva to name a few. They all have had a humble beginning in traditional martial arts. Shotokan practitioners on the other hand learn from the first day of training; respect, humility, discipline and honor are of the highest importance and are necessary to practice in one's daily life to fully understand the physical form of their training. All legitimate martial arts in one way or another stress on perfection of character before anything else. Do MMA and Shotokan practitioners follow an organized system of rank with a progressive curriculum? NO, unlike in Shotokan, in MMA anyone can claim they are experienced or knowledgeable because there are no credible or legitimate references to any universal standard nor is there a progressive curriculum for rank advancement which would cater to a systematic method to learn new skills. 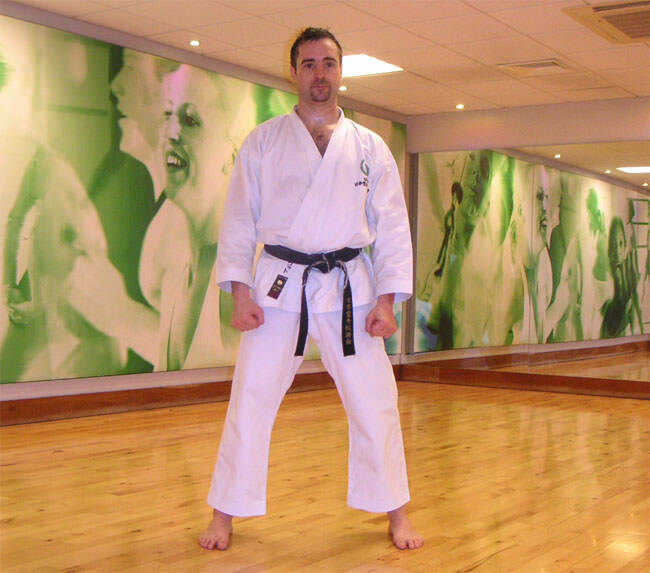 In Shotokan you can easily find a credible source of knowledge from a high ranking instructor due to Shotokan's universal popularity and history. You can also look into an instructor's source knowledge and his lineage. As for a progressive curriculum, Shotokan is one, if not the first styles of martial arts to introduce a systematic and scientifically based curriculum. Is there a universal standard for both MMA and Shotokan? NO. In MMA there is no such standard that can be used as a reference to one learning or legitimacy, However, Shotokan it is easy, all you need to do is ask about the instructor's lineage and who they affiliate with. Typically a credible teacher can trace the origins of their knowledge to the founder of Shotokan, Gichin Funakoshi. Can anyone learn MMA or Shotokan and is it advised for children? Yes, anyone can learn MMA but it is not advised for children to practice MMA due to its violent nature and philosophy. Not to mention the physical demands that can deform a child's body as they grow. I can't imagine many women or parents who would like to put themselves or their children through that kind of punishment. Let's not forget the lack of family values or principles. 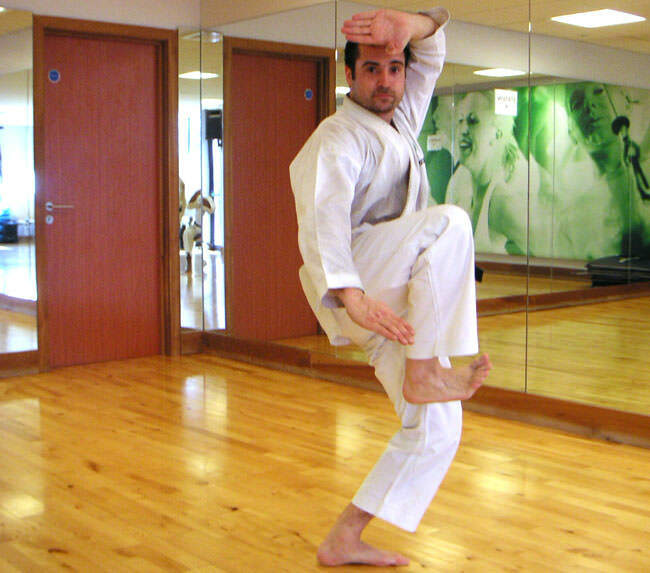 As for Karate, anyone of any gender or age may study Shotokan due to its all round approach no matter the physical ability of the practitioner. Anyone can feel accomplished and learn without damaging their bodies throughout their training. Karate also entails a philosophical side and a means to self improvement that MMA certainly lacks. Another comparative angle, is the focus of training. 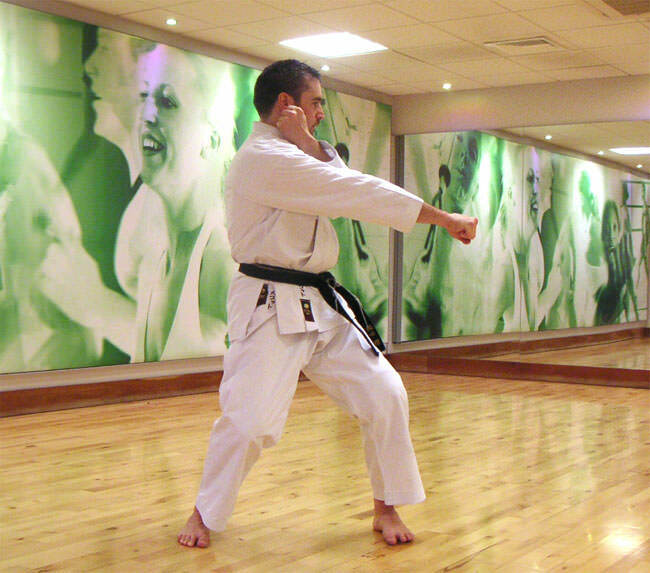 MMA focuses on basic upper body and lower body striking as well as ground fighting and submissions while Shotokan focuses equally on striking, kicking, joint manipulation, basic grappling tactics, vital point techniques and realistic self defense. How practical is SHOTOKAN vs. MMA in a real life situation? MMA is great in the ring and can be effective in the street too, if the situation caters to it. However, MMA is generally focussed on what works in the ring as a sport. So, it is natural that MMA may not be as practical if your life depended on it. After all the street has no rules. What is illegal in the ring is what is very common in a street attack. I would not recommend anyone to grapple in the street, let alone grapple against more than one attacker. Nor would I suggest to try a submission. Let us remember the ability of your attacker(s) to hit you anywhere they choose. The back of the head or neck, the groin, eyes or throat. They may also elect to use a foreign object to hit or stab you with. In the ring a fighter can be slammed to the ground and manage to continue. I doubt that is possible if the person being slammed landed on a curb or concrete! Additionally there are no referees to stop a fight when an illegal strike or bite happens or while you get kicked while on the ground. Shotokan and Karate in general teaches a practitioner how to evade an attack and quickly counter it (go no sen) with an effective strike or joint lock to disable the attacker followed by a take down or sweep. This way you are more capable of fending off more than one attacker if you are still on your feet. 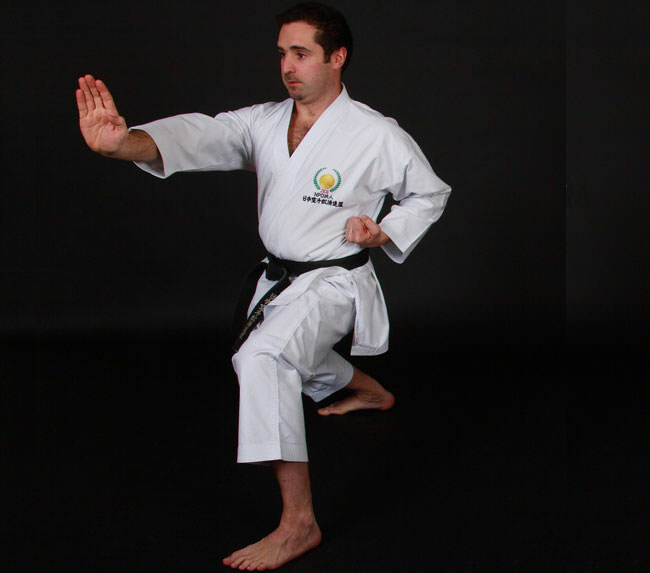 Karate also focuses on a realistic approach to self defense and life threatening scenarios that MMA does not. In the end it is all about personal preference. But for those of you who are looking for a single martial art that caters to more than one type of student at any age, and more than one type of training, there is only one more question to ask, which one do you think is the ultimate art? A sport based activity like MMA or a self defense based discipline like SHOTOKAN? ROTARY TANDEN.By Tim Hanlon MD & Allan Heaton.